When your calendar says it's time for an 8-mile run, throw on Smartwool's PhD Light 1/4 Zip and run 10. 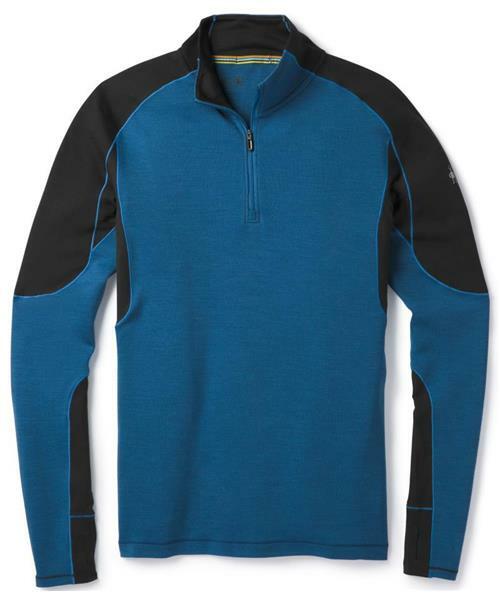 With this warmer Merino-polyester blend, moisture moves away from your skin quickly and efficiently. Designed specifically for men, it integrates ultra-breathable mesh panels mapped to male sweat patterns. Merrow seam construction is soft against your skin. Thumbholes in the cuffs help keep cold out and hands warm. When you're done, this piece dries fast and maintains its shape mile after mile, month after month.